A pension is often the largest or second largest capital asset in a marriage or Civil Partnership. As such, it is important that pensions are considered in the financial settlement. Pensions can be complex and confusing at the best of times, but the details need to be addressed carefully by a divorce lawyer aided by an experienced independent financial adviser (IFA) if you and your lawyer think that is necessary. Frequently, one person has a substantial pension and the other might have none or a very limited pension provision because, for example, they have given up their job to look after the children. You and your lawyer need to consider if that pension should be shared or if you should receive more of another asset, such as the home instead. It is normally the wife who has the lowest (if any) pension provision, as the couple assume she will benefit from the husband’s pension when he retires. There is no automatic entitlement to a spouse’s pension but the court will look at all the facts and figures in each case. 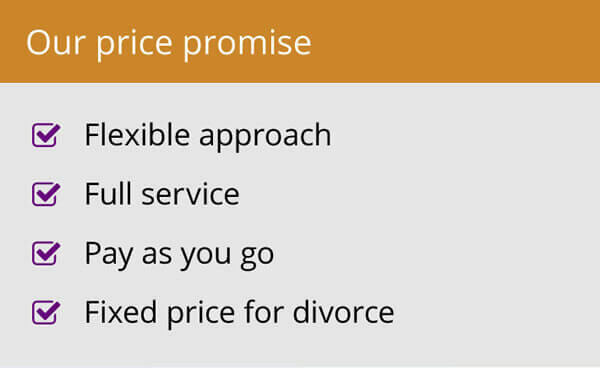 How Does a Divorce Affect a Pension? There are a number of different approaches to tackle pension assets depending on the circumstances of the couple concerned. These are offsetting, earmarking and pension-sharing. Pension sharing is the preferred route of most divorce courts but offsetting and, to a lesser extent earmarking, are also still valid in some cases. 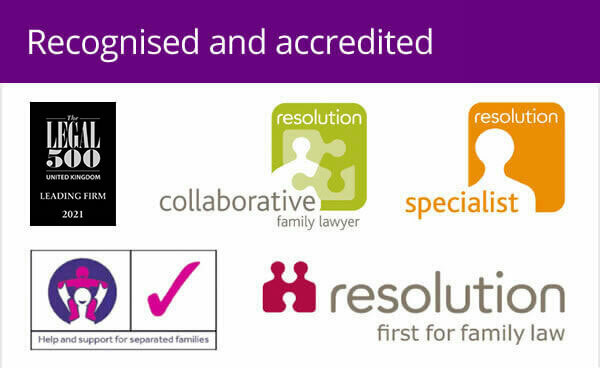 It is vital you discuss your case and unique set of circumstances with an experienced family lawyer. This will give you the best chance of a fair, expedient outcome taking into account all pensions each party has. Offsetting involves balancing the pension fund against other matrimonial assets, such as the house. For instance, the wife might cede the pension fund to her husband in return for a larger share or the profits from any property. Anyone considering this route though should think about it very carefully because of the different nature of capital assets and pensions. Pensions are not liquid assets, and, as such, can only be turned into cash on retirement. Their value on retirement could be much higher than at the time of assessment. With earmarking, the court awards a percentage (it can be 100%) of the income the other party gets from the pension to the former spouse. This seems fairly straightforward and fair. However, it has numerous disadvantages which is why it has fallen out of favour. For instance, the income stops on the death of the pension holder or if the wife remarries. The third option, and the one which is the preferred choice in the majority of cases these days, is pension sharing. Thanks to the Welfare Reform and Pensions Act 1999 (WRPA), this allows one party the opportunity to secure a percentage of their spouse’s pension rights and to put that percentage into their own name. This is preferable in many cases because a person can feel more in control of their own future rather than being dependent on an ex-spouse, they can decide when they retire and if the recipient dies before retirement, the pension investment can be paid to children or a new spouse. It is important to note that when a pension is divided or shared, this does not mean that the recipient will receive a cash lump-sum. A pension or part of a pension that is ordered from one party to another still remains a pension and has to be invested in a pension plan. One of the most difficult tasks when resolving pensions and how they should be shared is the actual value of a pension fund. This is particularly important when valuing occupational pension schemes, such as those in the armed forces, police service and NHS. There are at least 100 different methods of calculating the value of a pension and to make a comparison fair, it can be necessary to get an expert to value the pension or pensions especially where the assets include different types. There are recent cases where a pension fund has been increased by almost a third by getting a proper valuation. When you are talking of pension funds which can be worth from £500,000 to £1 million or more such as a GP or senior officer in the armed forces may have, that is a significant difference. Expert advice and guidance from experienced professionals is the only way to ensure you are not left rueing the financial split while getting over the emotional break-up. Find out what pension provision there is, both private, company and state and secure a valuation and forecast. Decide with your lawyer if the amount of the pension and the facts of your case make further investigation justifiable (ie, cost versus benefit). There are at least a hundred different ways to value a pension. Further investigation can mean a drastic increase or reduction in the pension asset, frequently seen with Final Salary Pensions and with Government and Civil Service pensions such as those that teachers and members of the Armed Forces have. If you wish to push ahead, investigate fully, ideally helped by a specialist IFA or Pension Actuary (your lawyer will be able to recommend someone). Decide how to adjust the settlement in the light of this knowledge. There is no simple answer to this question as it will depend on other factors. What other assets are available to be shared? What is the value of your pension? Does your spouse have savings, investments and pensions in their own name? Are you willing to ‘offset’ the value of other matrimonial assets to enable you to keep your pension? There are many different types of pensions and their terms and value can differ too. You, and your partner may have a state pension, company pension and perhaps a personal pension too. Your first step therefore is to quantify your pensions alongside your savings, shares, investments and any property of business interest you may have. Having quantified the pension assets, you can then consider fully your options in relation to your pension. Pensions are a very complex area and a divorce lawyer should be employed to look into what you might be entitled to or liable for. 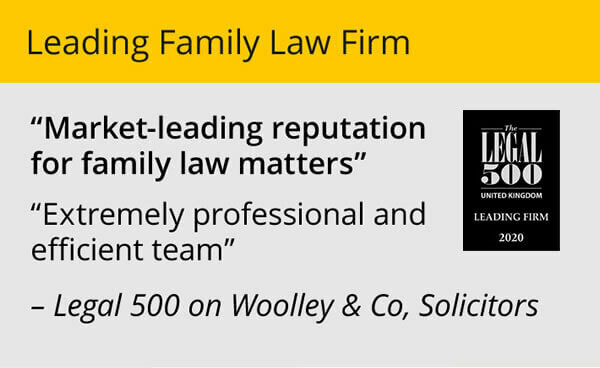 Contact Woolley & Co for specialist advice.